Be bold with blue Pleated blinds, or pick a pretty pastel hue - the choice is yours. Powder blues have a fresh spring-like appeal. While at the other end of the spectrum, blue Pleated blinds in deep indigos make a dramatic statement. 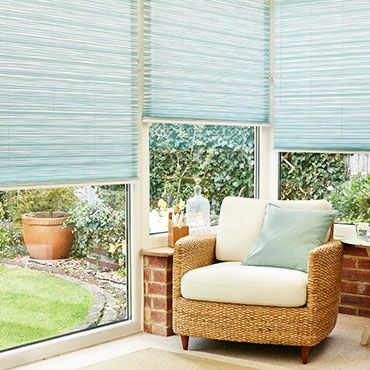 As well as being an attractive addition to a room, Pleated blinds are practical too. Our range of clever performance fabrics includes blackout and thermal designs, which are perfect for bedrooms and draughty windows. Once you’ve decided to dive into the blue, all that’s left is to arrange a free home appointment. Your local advisor will visit your home with samples of our blue Venetian blinds and provide a no-obligation quote. They can also suggest tailored solutions for your interior. 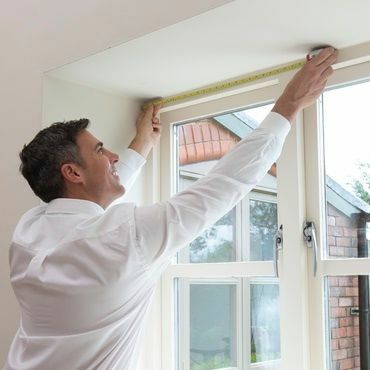 For example, fitting your blue Venetian blinds in a PerfectFit frame will mean no loose loops or cords. Alternatively, if privacy is an issue, our TriliteTM Top-Down, Bottom-Up blue Pleated blinds can be positioned anywhere on the window. 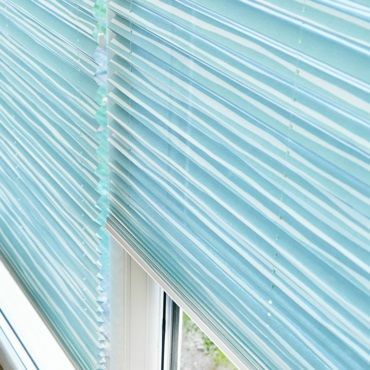 Or if you want to use contrasting colours, our Day and Night TransitionTM blinds combine two Pleated fabrics within one blind.